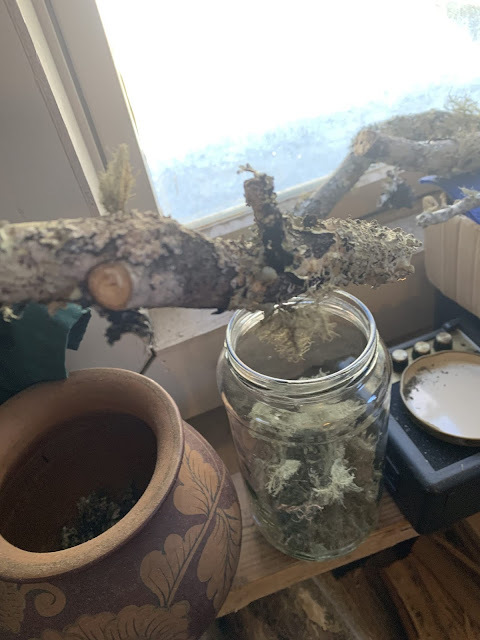 I don’t know what kinds of lichens I have here but there’s lots on down twigs and limbs from the staghelm sumac trees I have here. Maybe it will make nice color for wool. In the spring I plan to be more diligent about posting here. It goes along with some ideas about natural dyeing. Currently I am waiting for some dental work this week that will have me out of commission for a little while. But stay tuned! 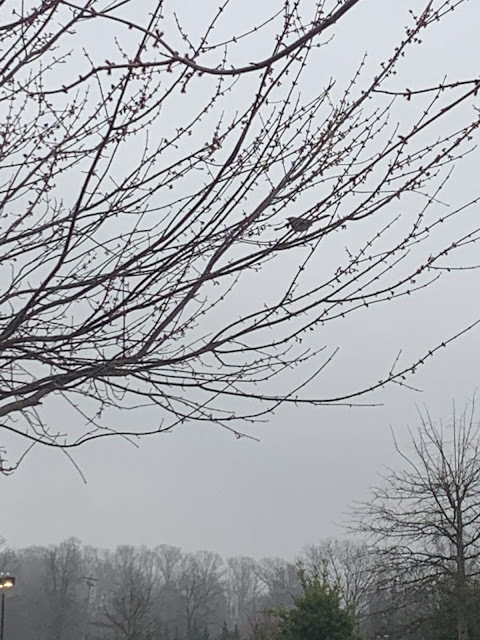 Spring is around the corner!! 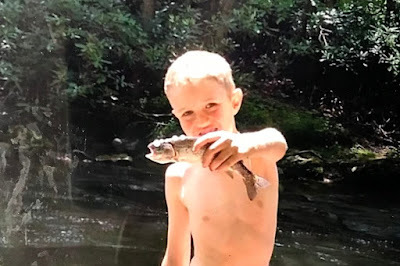 My dear friend Jen lost her son Daius to a drowning accident when there was still ice on the pond. This is a family I've known for years. We both homeschooled (my kids are grown now) and I have loved their family very much. Please consider helping them out in this time of need. It's heartbreaking to me to think of losing a child at all but then there's all these bills from he accident coming in as well. Prayer is best, as we know YHWH hears. Helping financially can help with at least part of their burden. Here is the link to their GoFundMe. 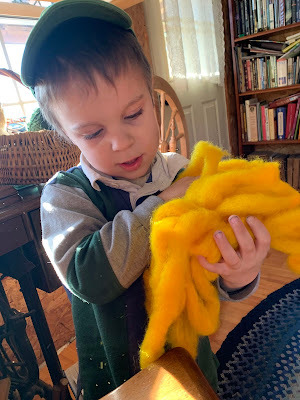 I dyed some wool with turmeric. It was fantastic! My grandson saw it and asked what it was, so I explained that I had dyed it. He thought it was a wonderful piece of sunshine. I love how children are amazed at little things. This was written months ago in winter. Disclaimer: nothing I say here is intended as medical advice. If you have a problem seek a professional. I made a chickweed tincture a week ago. It's fairly straightforward: freshly picked chickeweed, rinsed off and picked over. Only the best stuff goes in here! Chop it coarsely then put it in a jar and cover it with vodka. I keep it in a nice dark place for 6+ weeks then strain it. According to drugs.com "The young shoots are edible and have been used as salad greens. In homeopathy, the plant is used to relieve rheumatic pains and psoriasis. 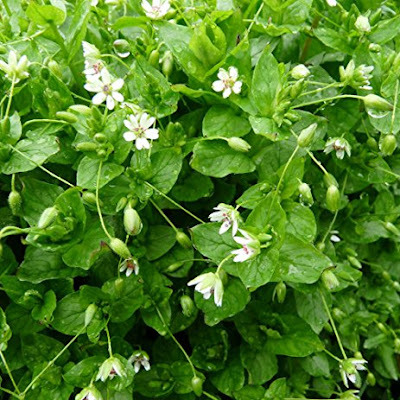 Chickweed is noted as a folk remedy for many conditions, including asthma, blood disorders, conjunctivitis, constipation, inflammation, dyspepsia, skin ailments, and obesity." I have it on good authority that it does work well for many of these ailments. Of course it's "folk remedies" so take it or leave it.